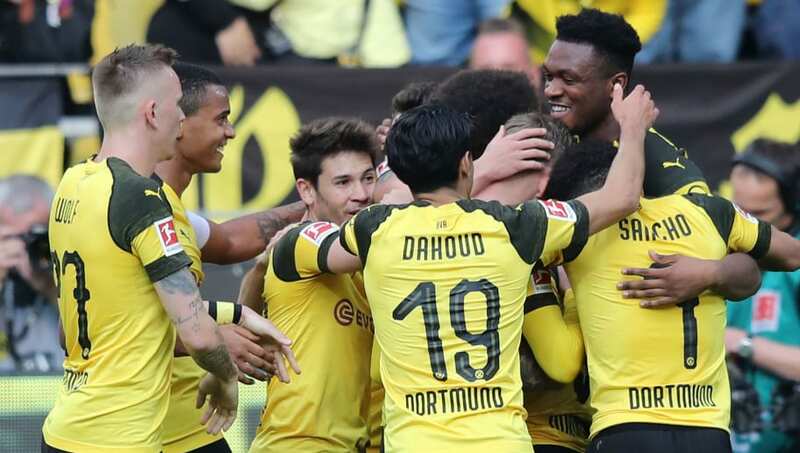 Borussia Dortmund are back at Signal Iduna Park this weekend, when they host Mainz on Saturday afternoon. BVB will be looking to bounce back from last week's humiliating defeat, where they were thrashed 5-0 by Bayern Munich in Der Klassiker. The defeat saw them knocked off the top of the table and they now sit one point off the new league leaders. Manager Lucien Favre will be without Achraf Hakimi and Lukasz Piszczek, while Paco Alcacer, Raphael Guerreiro and Christian Pulisic are all doubts for Saturday's huge clash. Here's a look at Favre's best potential Borussia Dortmund lineup to face Mainz. Roman Burki (GK) - Despite conceding five goals in his last game, Burki was one of Dortmund's star performers in their Der Klassiker defeat. The Swiss goalkeeper will retain his place in goal, as he hopes to keep his ninth league clean sheet of the season. Marius Wolf (RB) - Wolf will likely drop back into right back again, with BVB still short at the back. The German winger has struggled recently, but is likely to make his 20th appearance of the season. Manuel Akanji (CB) - Akanji will sit at the heart of Dortmund's defence as usual, having made 25 appearances this season. Although he struggled in the derby defeat, the Switzerland international remains a key part of the defence and has been excellent all season. Dan-Axel Zagadou (CB) - Zagadou will partner up with Akanji in central defence, making his 22nd appearance of the season. The 19-year-old has slotted into Dortmund's back line well, and will need to be at his best to secure three points on Saturday. 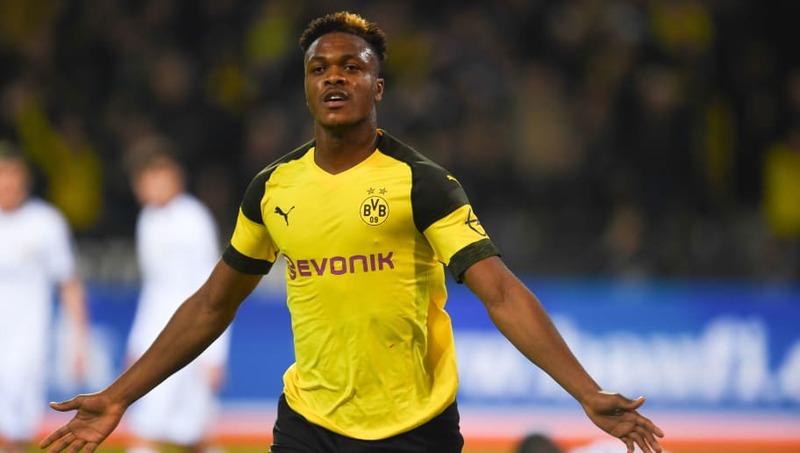 Abdou Diallo (LB) - The 22-year-old should make up the Schwarzgelben's back four at the Signal Iduna Park, as he has done so often this season. Diallo has excelled when given opportunities by Favre, making 34 appearances throughout the season. Axel Witsel (CM) - Witsel will play in front of the defence as a defensive midfielder this Saturday as he continues his fine season. The Belgian has been outstanding since joining from Zenit St. Petersburg, and will need to be at his very best for the visit of Mainz. Thomas Delaney (CM) - It should be the Danish midfielder to partner Witsel, as they have done so often this season. Delaney has also been a key player for Dortmund, making 32 appearances since signing from fellow German club Werder Bremen. Jadon Sancho (RW) - Sancho has been in fine form all season long, as his potential transfer rumours continue. The Englishman's stats remain some of the best in the Bundesliga this season, with nine goals and 18 assists throughout the campaign. Marco Reus (AM) - If Dortmund are to bounce back with a win on Saturday, their captain must produce an outstanding performance. 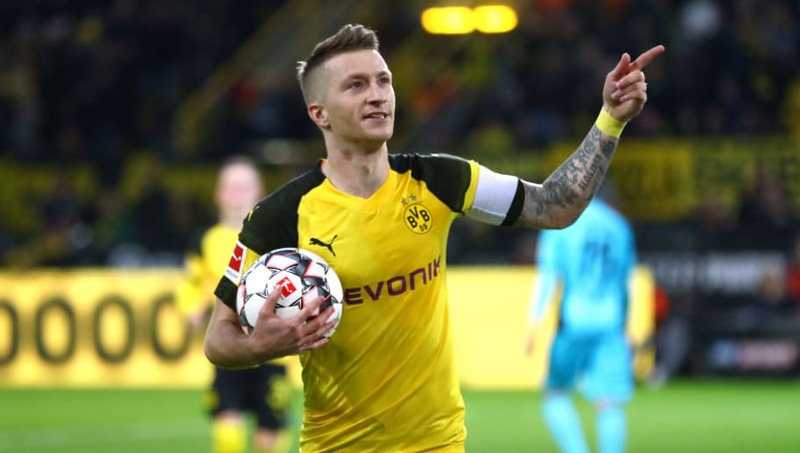 Reus will need to deliver at the Signal Iduna Park, as he hopes to build on from his impressive 19 goals and ten assists this season. Jacob Bruun Larsen (LW) - With Guerreiro a doubt for the visit of Mainz, Bruun Larsen could return to Dortmund's attack. The 20-year-old Dane will relish his chance as left winger, as he potentially makes his 27th appearance of the campaign. 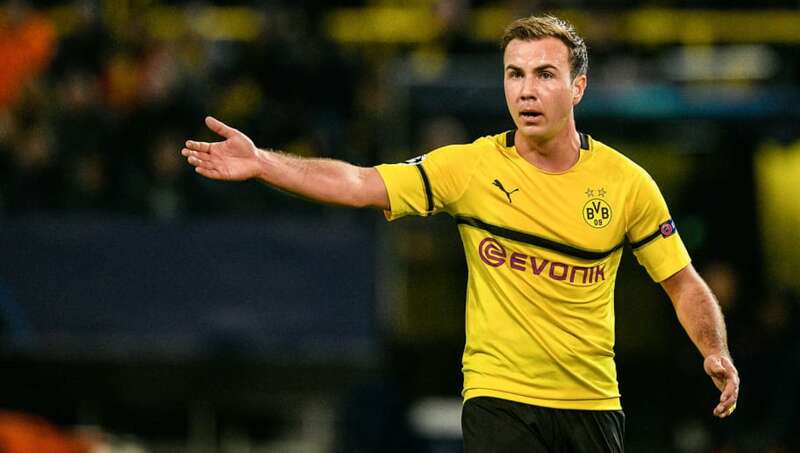 Mario Gotze (ST) - Whether Alcacer plays is uncertain, and if he doesn't then it will be Gotze who leads BVB's line. The World Cup winner has had another injury hampered season but has found game time nonetheless, with four goals and six assists in 28 outings.